I am now able to take my sit & chat video and put them here at my website.. woohoo! So if you are not at my facebook group or missed it, you can always find at my new video tab up above on the navigation bar or on the right side bar! 2019 Mystery Sew Along announcements! Jolly Box Announcement with Kimberly at the Fat Quarter shop and my Buddy Jane! See Jane's 20 block Splendid Sampler as well, so fun to do this live in Houston! JOLLY Box Christmas Mystery.. I got a peek .. it is SO worth it! Tips for some of the Splendid Sampler blocks, plus my snazzy new tshirt! Friday Night Chat 10/26/18 LIVE! My favorite new Tool, the Wool pressing mat. Things I love about it! My Facebook community hit 150,000.. thank you so much for being part of all the fun and supporting my small family business.. Smooches!! Friday Night Studio Round up! What do you think of this as a feature? Leave me a comments below! NOTE - for some reason this video didn't load with high vol. So.. turn up your sound .. The shipping dept thinks a setting was updated somewhere on the upload so he is testing to have it fixed next time. * And do you mix your candy corn with other things? If so ... link me up with the recipe! * My Fabulous Fabric - Halloween ver - Sew Along details, next post on Thurs! I'm doing a studio reorg!! I do this several times a year and i'm way over due. Hope it won't take too long.. see my magic secret weapon to get it done.... hint.. it's white :) What are your secrets to organization? On my American Patchwork & Quilting Podcast tonight I'm Chatting machine quilting, road trips, serendipitous moments and organizing charities quilting with Guests Jude Spero, Amy Johnson, Amber Johnson, and Berene Campbell! ** CLICK to LISTEN at my website & to get all the details on my guests! Join me in the Christmas Fig sew along! A Chat about the layout for Merry and Bright! Just click and watch right here at my website! Let me know if you thought this was fun. I'm working on a consistent day to do them. I'm leaning towards Wednesday when I release the new block. What do you think? And I don't want you to miss the opportunity to try Bluprint for free.. Keep reading! If you have been familiar with Craftsy they were purchased by the NBC network awhile ago. 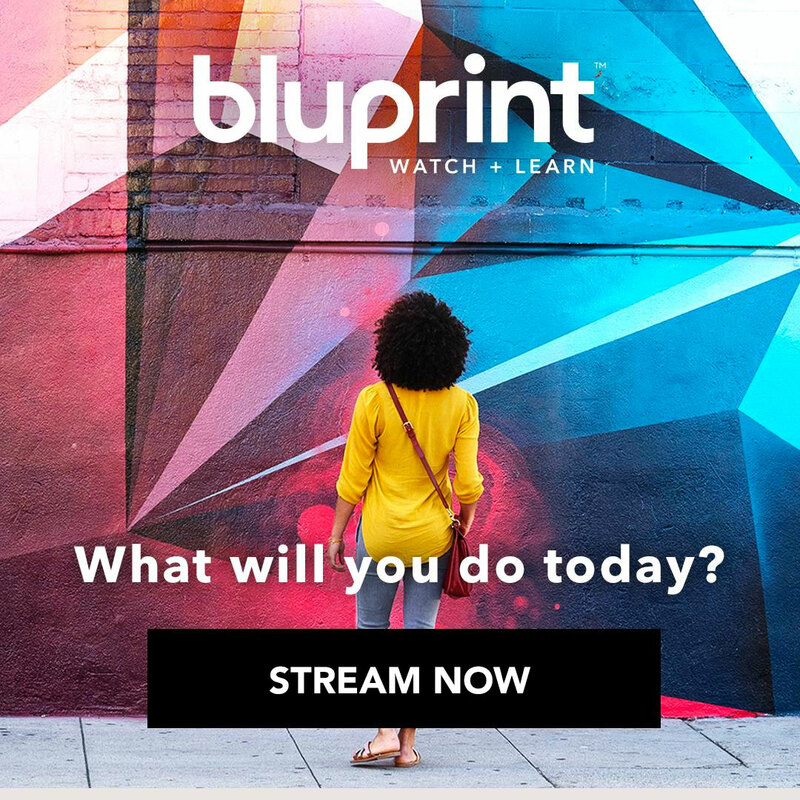 They are changing the system to create a new online Lifestyle site called 'MyBluPrint' that will have learning in a format more like you see on TV, but without the commercials, which is pretty darn neat! Cooking - is expanded with some amazing new videos, I am excited! Health - there is Yoga and I've ALWAYS wanted to try Yoga. We quilters need to keep healthy! And a series for subscribers called SPARK which is full of inspiration that you can check out during the FREE Trial!